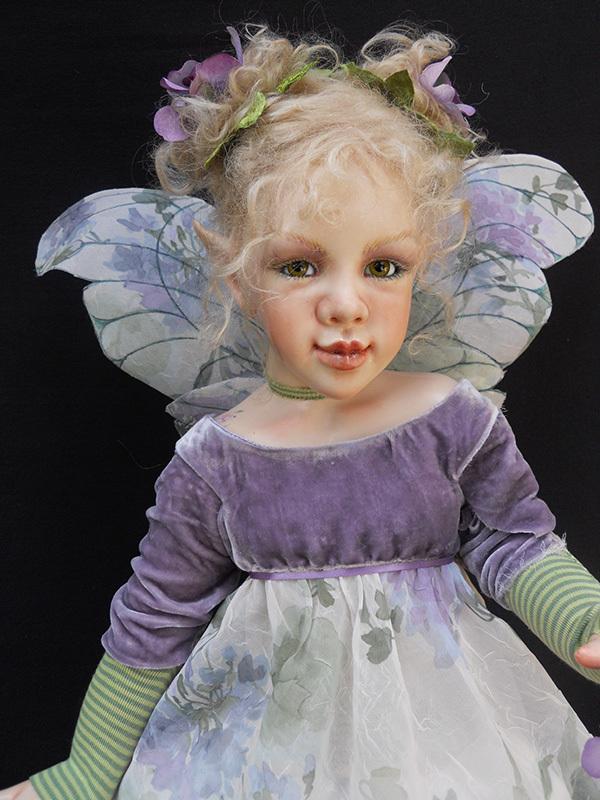 Lavender Funky Fairy is a timid blond with wispy hair standing daintily on her tip toes. 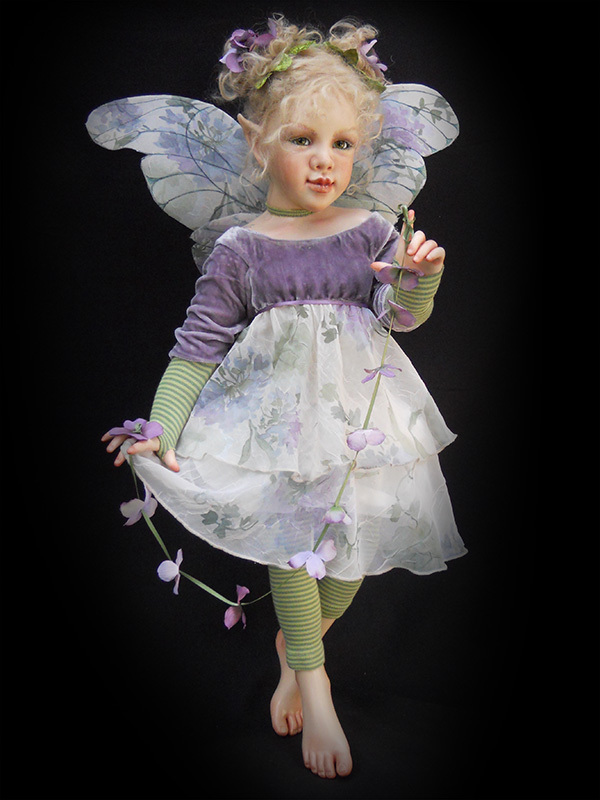 She is dressed in soft shades of lavender and green with striped leggings and gauntlets. Her delicate wings mimic the butterfly.